Pretty Splitty is run by UK based, international selling artist Alice Kellett who creates original paintings featuring camper vans set within beautiful natural surroundings. Alice also creates bespoke pieces of artwork featuring clients’ camper vans, offering a number of different styles to match a range of budgets. Acrylic paint on stretched canvases and charcoal drawings on coloured card are the most popular styles; examples of which can be viewed in the gallery. Order a one-off Pretty Splitty painting today and treasure for a lifetime. "When I first saw the sketch by Alice I couldn't stop looking at it. I loved seeing her work in the flesh as pictures on the internet don't do them justice!" "Alice is a fantastic artist. We commissioned her to create a painting of our Godson's camper van for his wedding and we were all bowled over. It was just amazing. 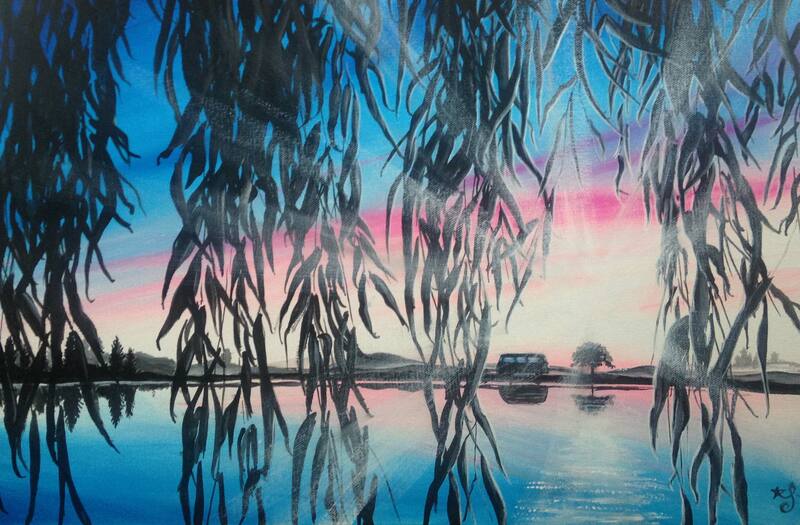 Thoroughly recommend this talented young lady for any art you need."